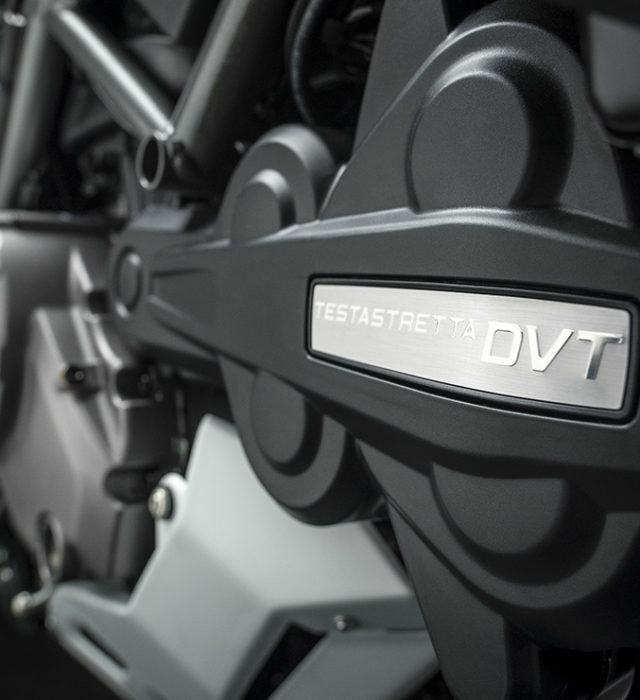 The Multistrada gets an upgrade with the new Ducati Testastretta DVT (Desmodromic Variable Timing) 1262 cu cm engine, new chassis, more advanced electronics, and an aesthetic update that includes new fairing panels and lighter, sportier looking wheels. 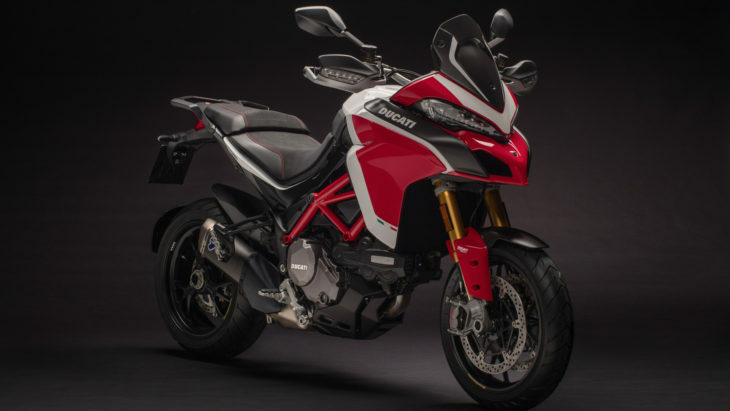 As soon as it was launched back in 2010, the Multistrada revolutionised the motorcycling world by offering four bikes in one: from sport bike to long- distance tourer, from everyday runabout to enduro. 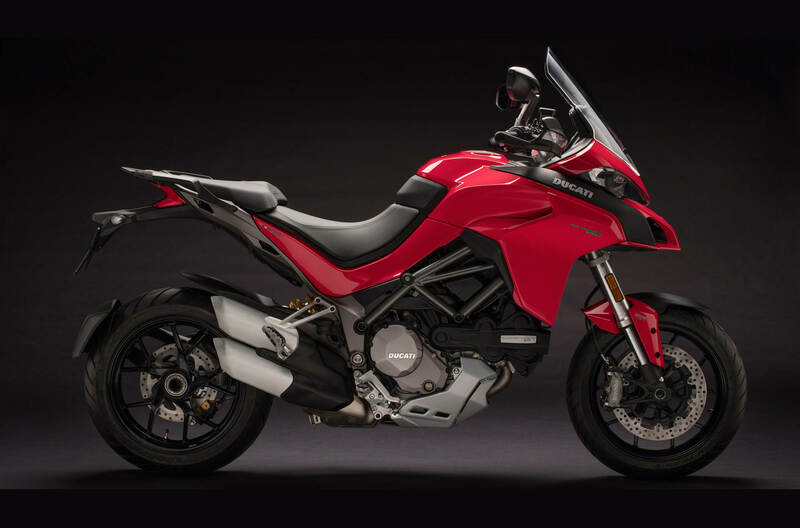 With its four souls, many new features and Riding Modes, the Multistrada 1260 brings a whole new level of performance, ease of riding, comfort and fun. The S version features a full LED headlight with Ducati Cornering Lights (DCL) functionality, which activates in curves to give optimal illumination of the road surface based on lean angle. The Multistrada models also feature hazard lights, activated simply by pressing a dedicated button. New to the Multistrada 1260 is the auto-cancel feature for turn indicators triggered by lean angle. Thanks to the Inertial Platform, the turn indicators self-cancel after a turn is completed or after covering a certain distance (which ranges from 200 to 2,000 metres depending on riding speed at the time the indicator button was pressed). 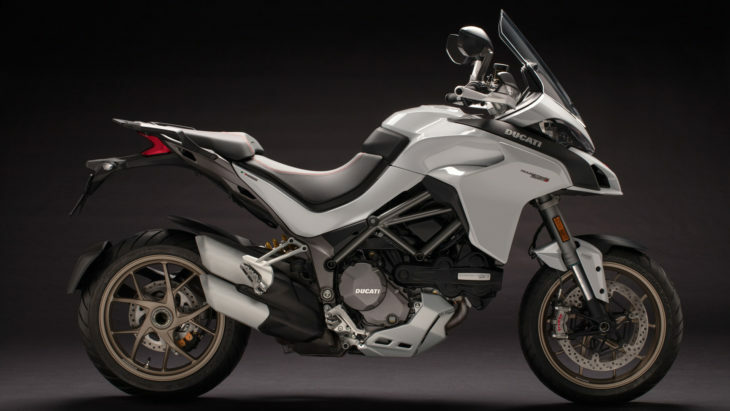 In Touring Riding Mode the Multistrada provides the engine’s full 158 hp with a smoother, less direct throttle response. Active safety is enhanced by higher DTC and DWC sensitivity levels, to maintain rock- solid stability. The ABS is set to interaction level 3, perfect for touring; this turns rear-wheel lift detection and Cornering ABS functionality on, while also optimising the front/rear combined braking effect. On the S version a suspension setup perfect for long-distance rides is selected, ensuring maximum comfort for rider and passenger alike. The chassis of the Multistrada 1260 includes a new frame and longer swing arm. Steering angle increases from 24° to 25°, whereas the new swing arm is 48 mm longer. As a result of these changes, wheelbase is now 55 mm longer. This, along with the new engine’s character and suspension setup lend the Multistrada 1260 sharper handling skills in curves, while ensuring full stability even when riding two- up at full load with the side panniers. The Multistrada 1260 S comes with a Sachs 48 mm front fork (with tubes in the typical ceramic grey, the signature colour identifying semi-active suspension and forged bottom bracket). The rear shock absorber is made by Sachs. Semi-active suspension systems front and back are controlled by the Ducati Skyhook Suspension (DSS) Evolution system. 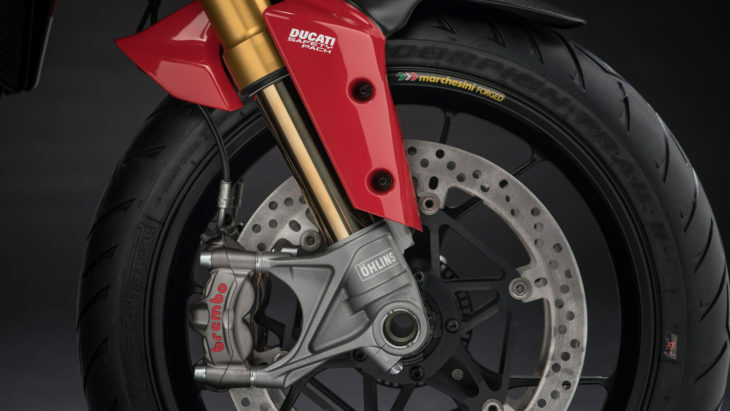 In addition to allowing compression and rebound adjustment of the hydraulic damper and rear spring preload (automatic and integrated into the Riding Modes or personalised via the on-board computer), the semi-active system exerts continuous control to keep the bike perfectly balanced. I’m tired of reading 6 pages of marketing hype for every “new” model. Most of it is pure and utter BS as all I’m concerned with is what happens when I apply the throttle and the brakes. Also, I don’t want or need 67 computer programs to enjoy the ride and would really appreciate it it if you GOT OFF MY LAWN! WTF. Looks like a honda silver wing mounted a snowmobile and this is the offspring. Revolting. I know taste is subjective but this has to be one of the ugliest motorcycles ever built. How about a good cosmetic surgeon for a nose job? 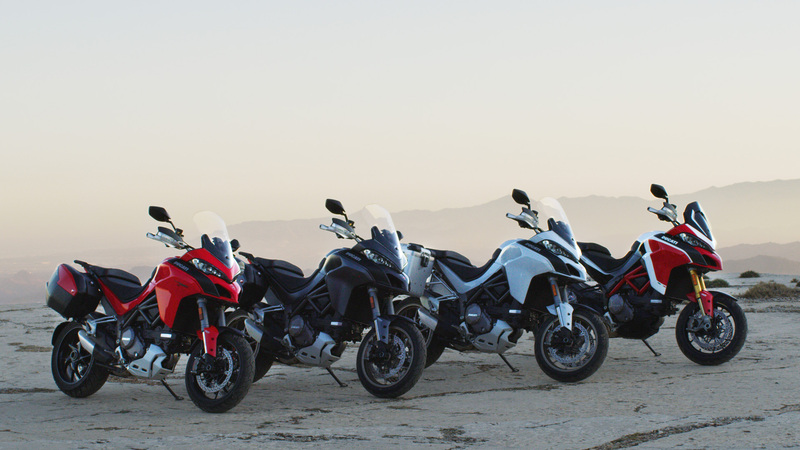 Unfortunately the Multi copied the “beak” look already out there on popular ADV bikes like the BMW 1200 GS and others. Would surely be an incredible bike, but can the V4 be far behind? I’m still not at the point I can justify a 20K bike, but if I could this would probably be it. That’s kind of a scary thought, a v-4 Multi: doubling the complexity of an already super complex valve train. The V-4 is a solution for the limits Ducati reached with the L-twin in their superbikes but would be utter overkill in a motorcycle like this. Q: can the V4 be far behind? Looks awesome, The electronics really don’t have more to go wrong than the old models, they are just doing more with the same or similar sensors. The Multi 1200 was my favorite Ducati at a demo ride last year. But, I can’t help but think, When will the Multi get the V-4? Q: When will the Multi get the V-4? Pass. Desmo valve trains are ridiculously expensive to maintain and are not superior to what today’s technology has to offer. Even when the service comes every 18,000 or so miles. Unless you have more dollars than sense, the bike will be traded or sold either just prior to or just after the first major service. And people think HD is silly for maintaining their heritage? Ducati soldiers on with a valve actuation setup that’s no longer needed. Desmo valve trains were introduced because back in the day valve springs couldn’t keep up with escalating RPM. Not true anymore but since Ducati is historically (more hysterically) married to that crap, they keep foisting it on customers in the name of their glorious history. And the owner pays through the colon for that crap. Once more, with feeling: PASS. Just shows how little you know WSHart. 1st: The Testastretta is reliable enough that most owners haven’t needed an adjustment for 25,000 miles. Up til then, they’ve been checking the clearances. 2nd: The desmo system is superior to valve spring technology in that it doesn’t rob horsepower the way systems with valve-springs do. And there’s no valve float. The higher the rpms and more radical the cam profile, the stiffer springs you need to control float. You can turn the Testastretta over with your bare hands easily. Any other engine requires overcoming all that valve spring force, which is quite significant and consumes a lot of horsepower. I won’t argue about complexity in design and extra cost. But honestly, the Desmo valvetrain and the twins at least, really isn’t any more difficult to check and adjust than on a shim over/under bucket design. You should learn about something before spouting off about what you don’t know. You just look like an idiot to everyone else.